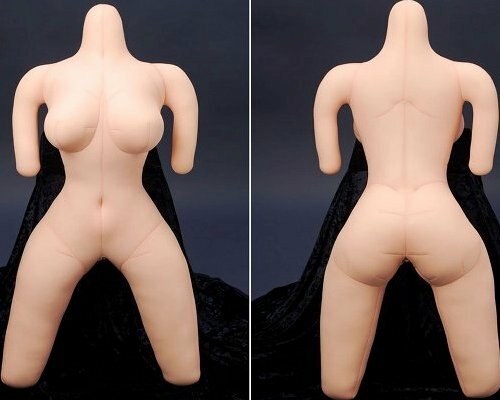 From Dekunoboo, Japan's premier plush dolls maker, the Ecstasy Body is modeled after a perfect woman's body, with a full, generous bust and curvy hips that will fit comfortably on top of you, underneath you, or right beside you. Slip in your favorite onahole and get as snug and close as you can to her body. You can also dress her up in clothes and costumes, as well as add a head or wig if you wish. Being a foam doll she is very durable and easy to maintain, not to mention affordable for even those with more modest budgets.